The weather guy has just said that there is a chance of frost on Tuesday night. I guess that means that summer is over. That also means I have some work to do in the garden. I was really hoping to have at least another weekend to get to it in some sort of controlled fashion. Maybe I'll just throw a couple of sheets over everything and hope for the best. 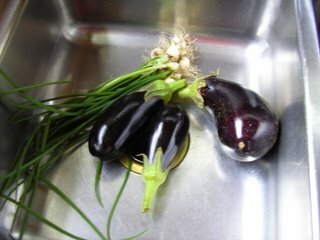 After the terrible heat we had this summer, my eggplants and peppers are putting on fruit like there's no tomorrow. Silly plants! My tomatoes are all but done and I'm sorry to see that end. 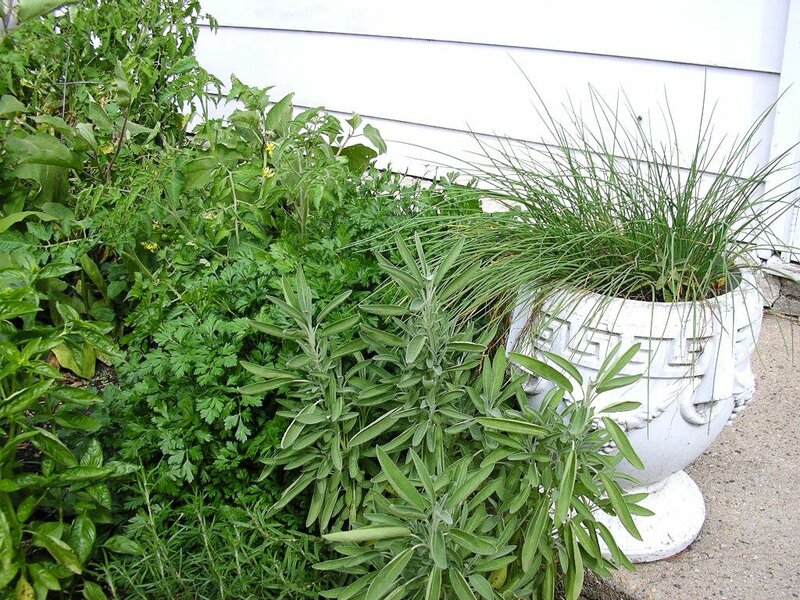 It's been a fantastic year for herbs, though. They really liked that high heat and humidity. 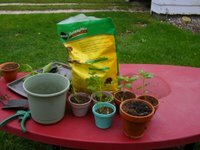 The basil, parsley and cilantro seeds that I planted in July are all coming up. Looks like I'll have lots of herbs to bring indoors to winter over in pots on my widow sill. 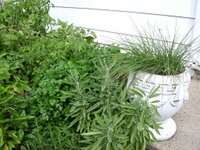 Last year was the first time I tried doing that and it was wonderful having fresh herbs to use all winter long. 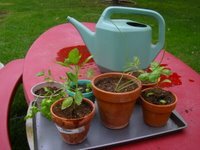 I just went out in the garden and dug up the smallest of the plants, slapped 'em in a pot and put them on my window sill in the sun. I don't know why I waited so long to try this, it's so easy. I hope you try this, too. Enjoy the last fruits of the garden, Sally!